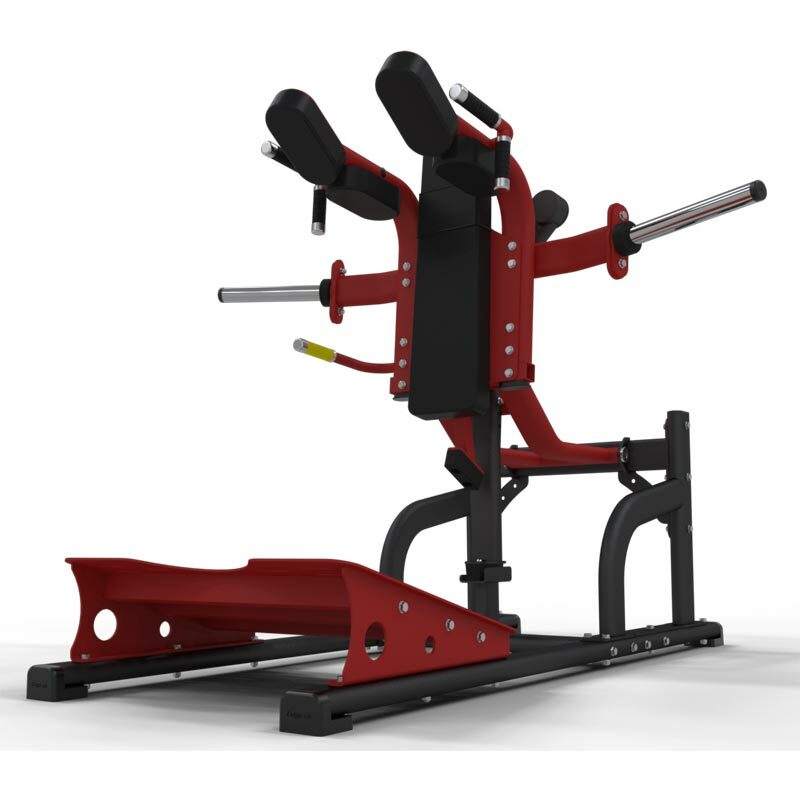 The Exigo V Squat affords a more natural squatting motion with the key focus on the quadriceps. This new revolutionary design reduces back and knee strain through a curved arc of motion with integral comfort back and shoulder pads. Anti-slip footplate - A wide angled anti slip footplate allows safe foot positioning as well as variable placement. Secure safety handles - Integrated safety secure handle provided with catch mechanism for secure movement during exercise. Comfort multi grip - Variable grip positions based on our ergonomic comfort grip handles provided with silicone super grip covered 32mm with caped anodised aluminium ends. L2170mm x W1560mm x H1864mm.